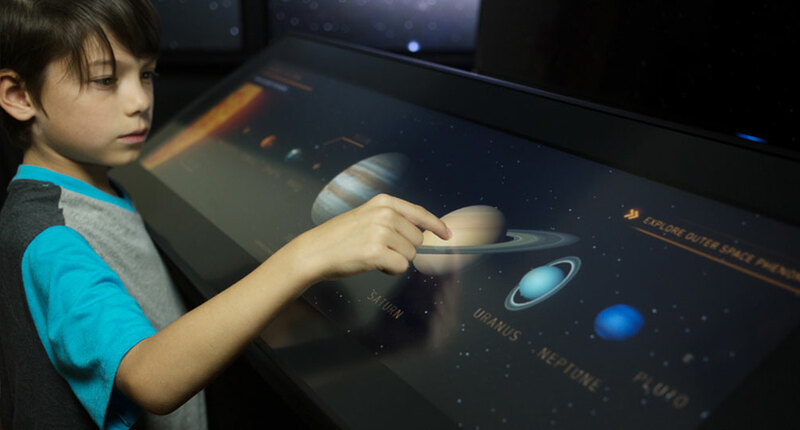 Ideum recently collaborated with the Smithsonian National Air and Space Museum to reimagine a touch table interactive, Design It, that had been in their gallery for several years and needed an update. Ideum redesigned the user experience, making it very clear and simple to use so that visitors can focus on the activity itself. Ideum also re-programmed the entire application, researched and supplied new photographic content, and re-created a 3D model of an international space station. 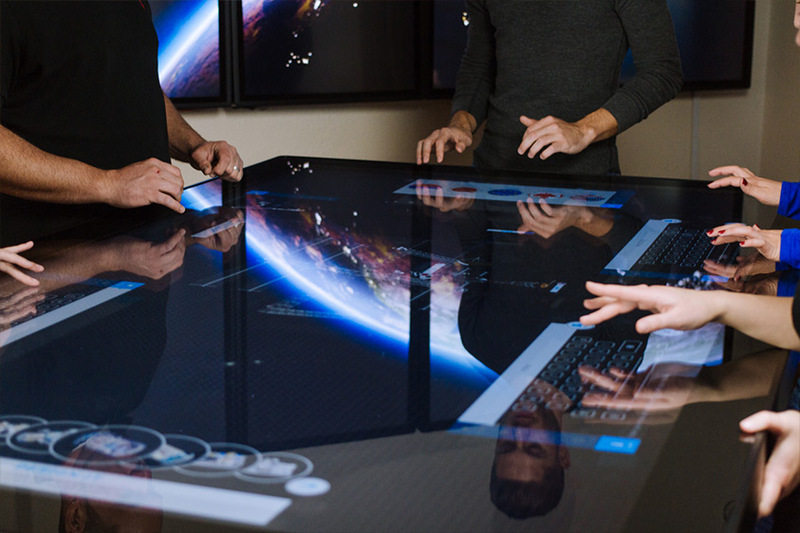 The application runs on new multitouch hardware as well, an 84-inch Ideum Colossus multitouch table which incorporates an 84" LG commercial display and custom projected capacitive touch controller. This is the third example of a Smithsonian museum installing the Colossus model. You can also find Colossus tables at the Cooper Hewitt Smithsonian Design Museum and the National Museum of the American Indian. 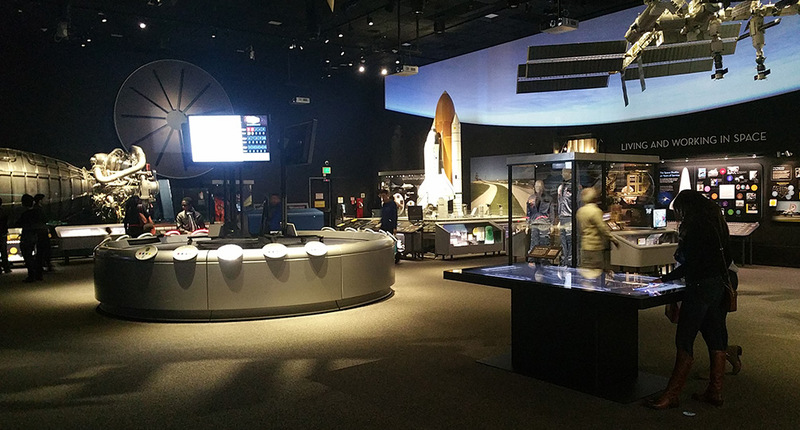 The Design It space station module creation activity is located in the Moving Beyond Earth exhibit at the Smithsonian National Air and Space Museum. The Smithsonian National Air and Space Museum has the highest visitation numbers of any museum in North America, with 6.6 million visitors passing through its doors in 2015 as of the end of November. 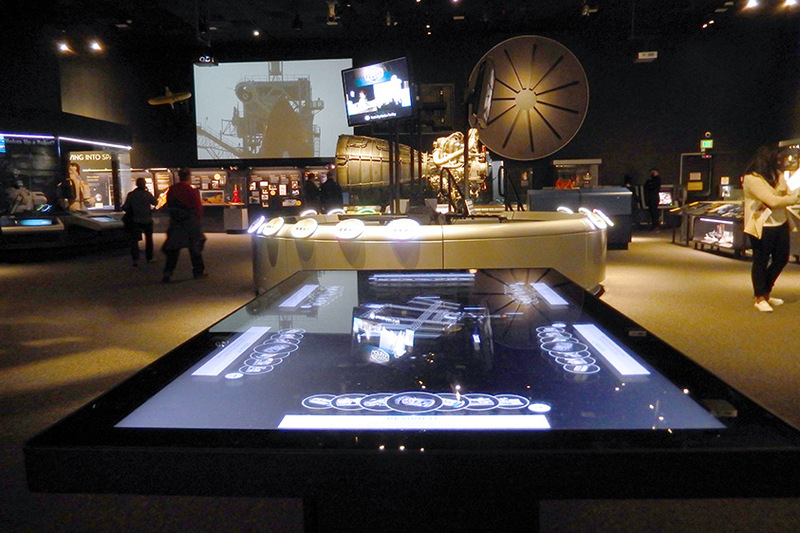 In the Design It activity, visitors approach the table and choose one of six work stations that surround a 3D model of a theoretical international space station. They choose what type of module they would like to build, then go through the process of choosing the most important features for their module while staying within budget. They make decisions about how comfortable to make the crew, how easily repairs to the station can be made, and what research can be performed. 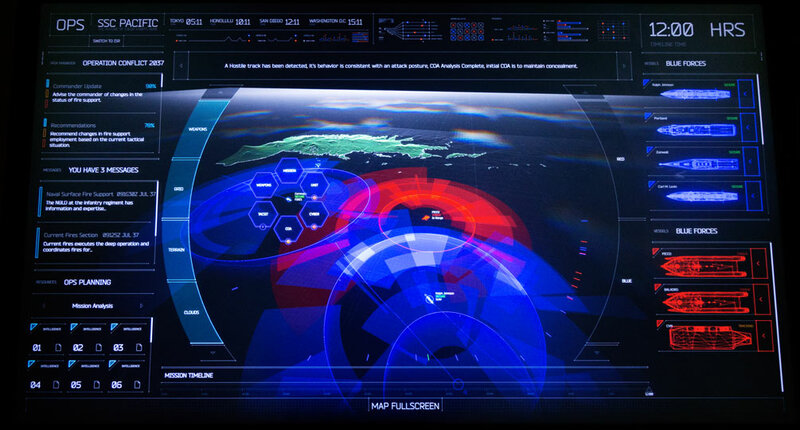 When they are finished, visitors send their module to the central space station at which point they become an integral part of it along with the modules that those around them have added. 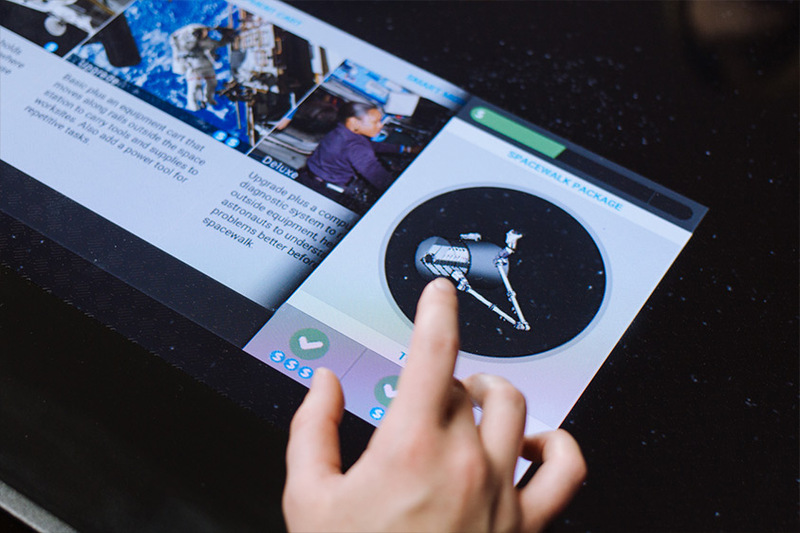 Visitors can also email themselves a copy of the space station image that contains details about their module and information about the real-world International Space Station. A visitor selects features for a space station module. Six users can build new modules simultaneously. Design It is surrounded by exhibits about space exploration.